Jennifer Noto is a seasoned Marketing and Communications professional. With over 12 years of experience, she has a strong background in Marketing, Communications, and Event Management. A 2005 graduate of UNC-Charlotte, Jennifer has been in a Marketing role for almost her entire career. Her passion for helping businesses improve brand recognition, company culture, and sales has led to increased profitability and employee retention for several companies. As Director of Marketing at Carolinas IT in Raleigh, NC, Jennifer is responsible for delivering full-scale Marketing Campaigns across all platforms including website, email, social media, events, and more. In her two years with Carolinas IT, she has doubled the ROI for Marketing Campaigns and helped the company achieve record profits. She works closely with industry partners to secure funding for Marketing campaigns. 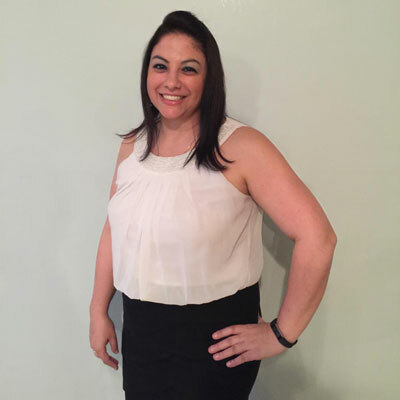 Jennifer is extremely dedicated to the success of the company and works with the Sales team to continue to increase company revenue and profit. I work very closely with our industry partners to obtain and maximize Marketing Development Funds (MDF). In my first year with Carolinas IT, I secured over $62,000 in funding, allowing us to offset 56% of the Marketing budget, leading to a 3 to 1 return on investment. Last year, I secured over $70,000 in MDF, which helped us offset 62% of our Marketing budget. As a result, we've doubled our ROI, with a 6 to 1 result in 2017. I have built a strong rapport with all our channel partners and strategize with them to determine which marketing initiatives and campaigns are most successful. As a result, one of our area partners has approached us time and time again to do selective campaigns, which has helped us to secure additional funding. This business model has also helped turn Marketing into a profit-generating department, a practice that has proved successful for us. I'd like to continue to maximize our MDF that we receive from partners. MDF helps us offset our expenses and increases our company profitability. Ruth Bader Ginsburg. She is a shining example of how women have broken barriers to achieve success among their male colleagues. She didn't take "no" for an answer. When society told her there was no place in the workforce for women, she went to law school (she was one of a few women in her class). She raised a family, worked her way up through the judicial system and became one of the most respected judges in America, refusing to let her age or anything else stop her. Don't sweat the small stuff. You'll make mistakes. You will fail. It's okay. Do not let your mistakes and failures define you. There is a lesson in every failure. Learn from them so you do not repeat them. Work hard, but not so hard that you fail to enjoy the wonderful parts of life such as family and friendship. I would love to learn how to program and code for websites! The Phoenix Project. This was a book our leadership team was tasked with reading as part of our Professional Education series. The book illustrates the importance of process and procedure and how departments need to work together in order for companies to function well. It helped me understand that no matter how small a disruption, it can affect many other moving parts in the process. It was also instrumental in helping our team determine what constraints exist in our business so that we could work together to correct them.